NintenGen: Rockstar and Take Two have games for Wii? Rockstar and Take Two have games for Wii? NGCFrance is reporting that Take-Two has cemented their support for the Wii, with president Paul Eibeler giving the final word. Speculation on titles such as their sports lineup of games (Top Spin, NHL2K, NBA2K ect.) is now taking foot, and most of these titles have a fair chance of heading to the Wii. While we have already heard that Take-Two was interested in the Wii after E3, it is still good to hear a confirmation coming from their president. The other half of the rumor states that Rockstar Games is bringing Table Tennis to the Wii. This title is already out for the 360, which is selling rather well. The table tennis gameplay lends itself perfectly to the Wiimote. While nothing is definite, the team at Rockstar is very excited with the possiblity of this project. Tennis is a no-brainer for Wii. What about Grand Theft Auto though? 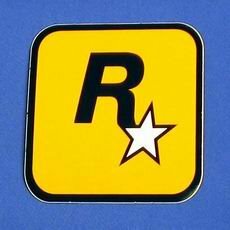 If the Wii does extremely well I don't see how Rockstar couldn't bring GTA to it in some form. I've never been a big fan of the GTA games, but the game just sells. The future is looking better and better for Nintendo. would love gta for wii i think it can do justice. played all, but killing is the fun in this game thats all. GTA for Wii? Sounds like a good idea to have a port of GTA IV on the Wii. Actually, come to think about it, Grand Theft Auto is pretty much the only reason I bought the PlayStation 2... I'm A strange STRANGE 11 year old. So far in GTA I've played GTA III, Vice City, SanAndreas, Librety City Stories and GTA Advance. I only just got LCS, so that's the only one I haven't completed.